The Future of European Automobile Industry and Market : electric or mixed ? Freyssenet M., The Future of European Automobile Industry and Market : electric or mixed ?, Slides presentation. 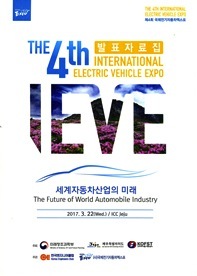 2d International Conference, “The Future of Automobile Industry, 2030”, 4td International Electric Vehicle Exposition, Jeju Island, Korea, March 22, 2017. Digital publication, freyssenet.com, 2017, 1,9 Mo, ISSN 7116-0941. The slides presentation is downloadable. Please, go to the bottom of this page. - Is the auto crisis over? - What were the changes in the car market? And Why? - Is the European car market not yet unified ? - Why are the profit strategies of European car manufacturers so different in Europe? - Take‐off of EVs sales ? - But the increase of EVs sales is the fact of few countries. Why? - All are engaged in the run to connected, automated and shared cars. 3. The Future : What carmaker could be the leader in Europe in 2030? - European market : expanding or simple renewal ? - What profit strategies : innovate or die ? - Will the EVS be a new segment of market or a new standard for all the cars ? - all connected and automated cars ? The car sharing ? Anthropology, Economics, Management, Geography, History of Sciences and Technologies, Engineering, Political Science, Sociology.